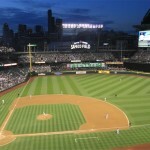 Pristine and nostalgic are two characteristics that describe the home of the Seattle Mariners. 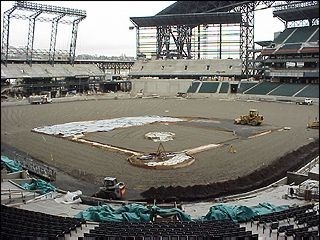 For over two decades fans who wanted to see the Mariners play had to watch them at to the concrete and sterile Kingdome. 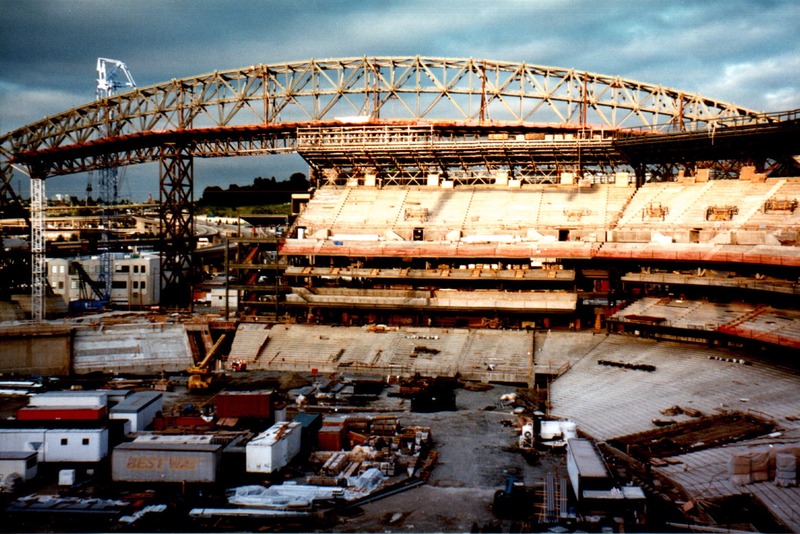 It was revolutionary when it opened in the 1970s, but by the 1990s a new wave of ballparks were being built in baseball and the Kingdome was outdated by then. 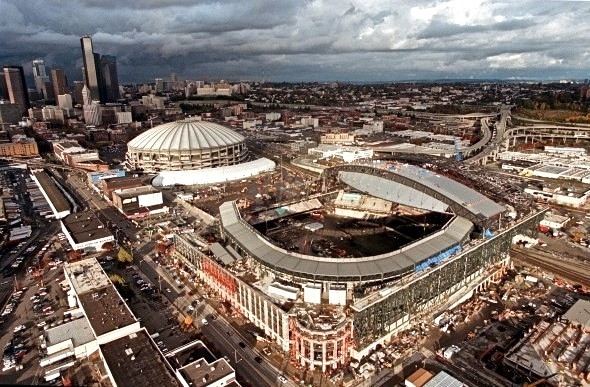 The Mariners wanted a new state of the art facility for their fans and because the team saw a new ballpark as a way to increase revenues, as they were losing $17 to $20 million in 1993 and 1994. 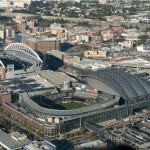 The team would not sign a long term lease to stay in Seattle if ground was not broken for a new ballpark by 1996. 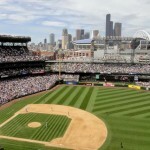 A new ballpark was seen as a way to solidify the city’s sense of community and lead to economic development. 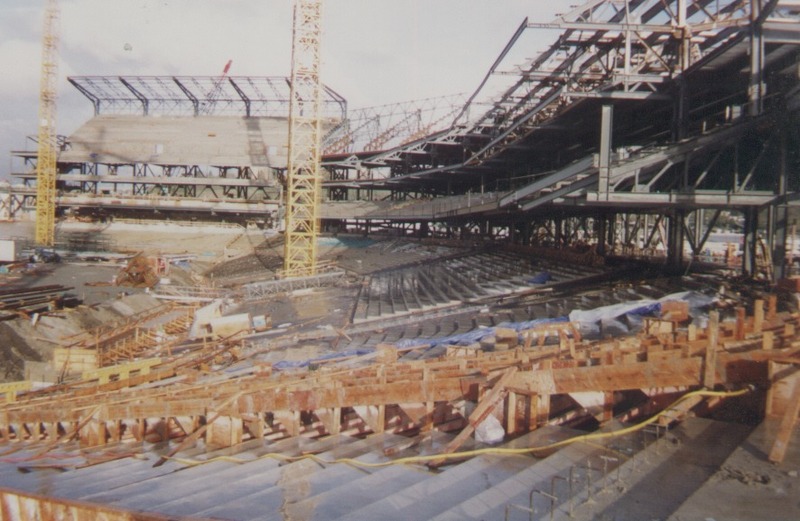 In 1994 the King County Stadium Alternatives Task Force was established after tiles from the Kingdome’s roof crashed onto several seating areas forcing the team to play on the road for the rest of the season. 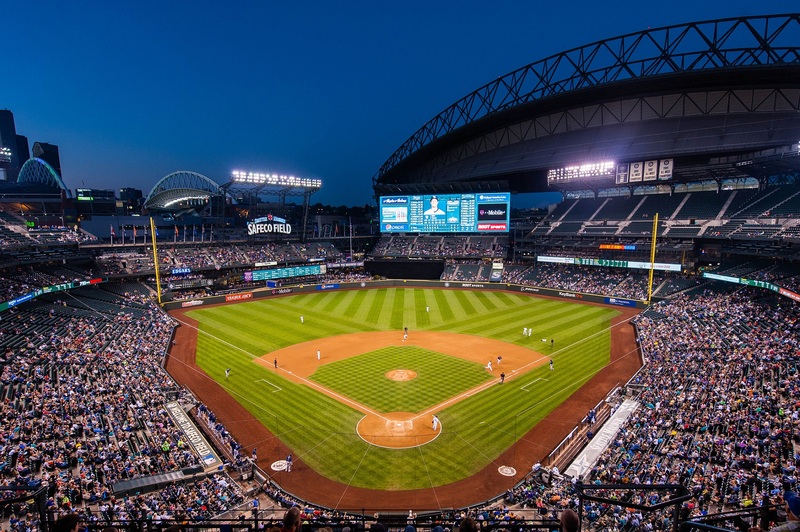 One year later the Governor and King County developed the Public Facilities District to oversee site selection, design, construction and management of a ballpark. Voters rejected a proposal to increase the sales tax in September 1995. 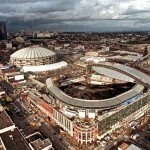 However, a month later the State Legislature authorized funding for a stadium. 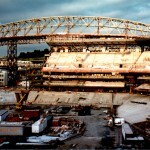 There were three sites chosen for possible construction, north and south of the Kingdome, and the Ackerly location. 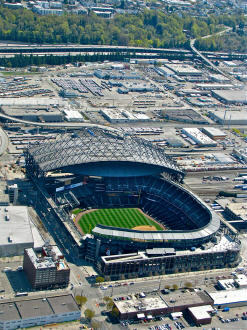 The site directly south of the Kingdome was chosen and in February 1997 the Mariners unveiled plans for their ballpark. 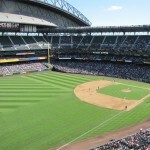 The ballpark followed the same neo-traditional pattern as every new ballpark built in the 1990s. 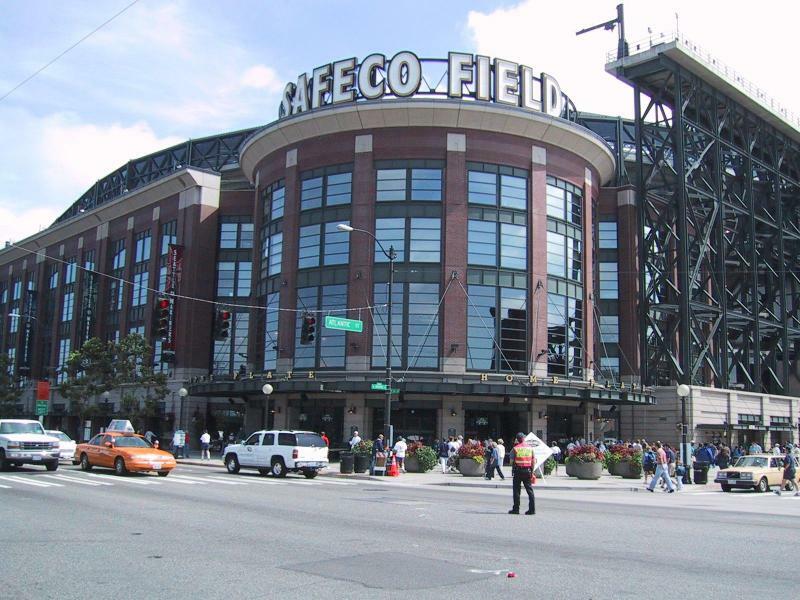 It has a brick facade, natural grass and a retractable roof. 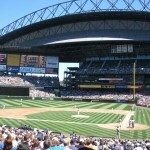 A retractable roof was necessary because of Seattle’s rainy weather and because the team estimated that 40% of its fans come from a hour away. The team wanted to make sure fans were comfortable and always protected from the wind and rain. 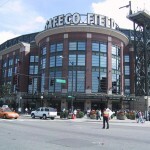 Seattle based Safeco bought the naming rights to the ballpark for $40 million over 20 years in June 1998, therefore the ballpark was named Safeco Field. 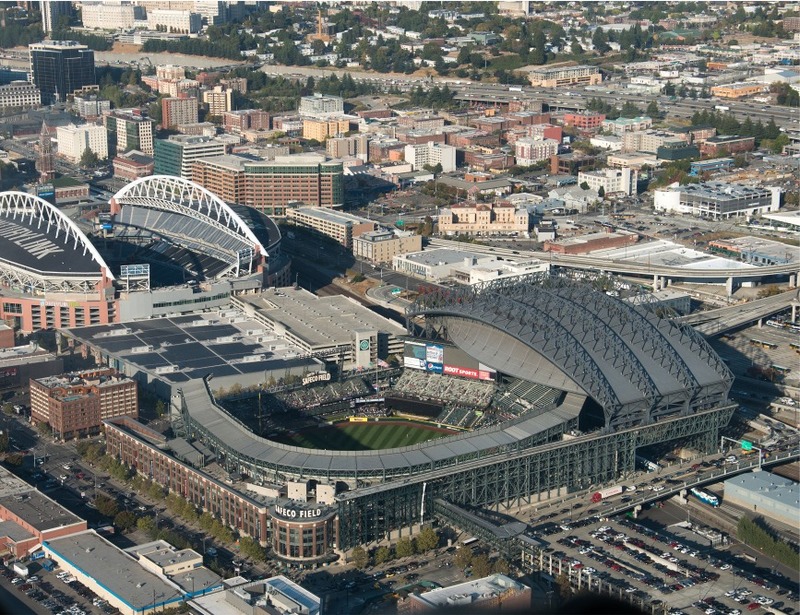 Following the 2018 season, the ballpark was renamed T-Mobile Park after the cellular company purchased the naming rights for $87.5 million over 25 years. 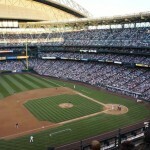 A capacity crowd filled the ballpark on its opening day, July 15, 1999. 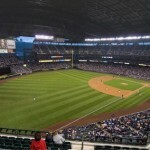 Three levels of seating extend from the left field foul pole to home plate around to the right field foul pole and into right-centerfield. 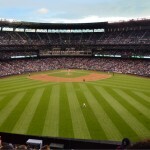 Bleacher seats are above the bullpens in left field. 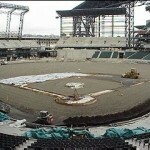 More bleacher seats are located above the hitters backdrop in centerfield. 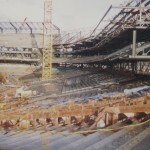 Above the bleachers is the main video/scoreboard. 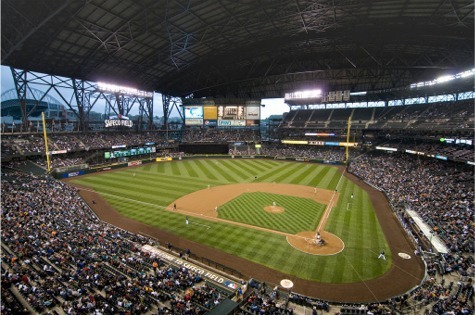 T-Mobile Park’s retractable roof enables fans to stay dry during the rainy days of the season. 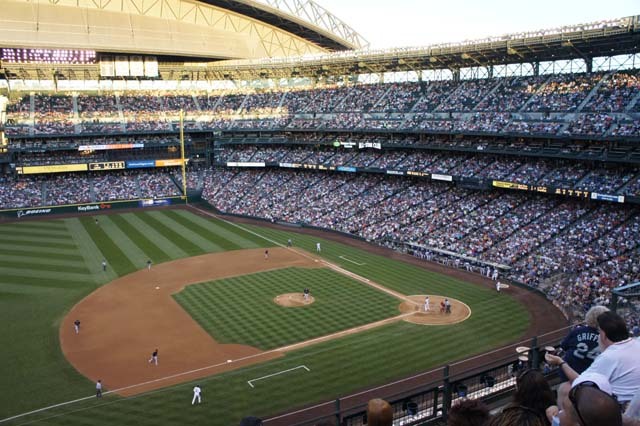 The retractable roof covers the entire ballpark but does not enclose it, giving it an open air feel. 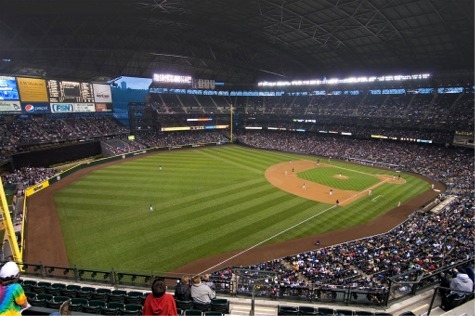 When open the roof sits above and behind the right field seats. The structure covers nearly 9 acres, weighs 22 million pounds and contains enough steel to build a skyscraper 55 stories tall. The three movable panels glide on 128 steel wheels powered by 96 ten horsepower electric motors. A push of a button closes or opens the roof in an average of 10-20 minutes. 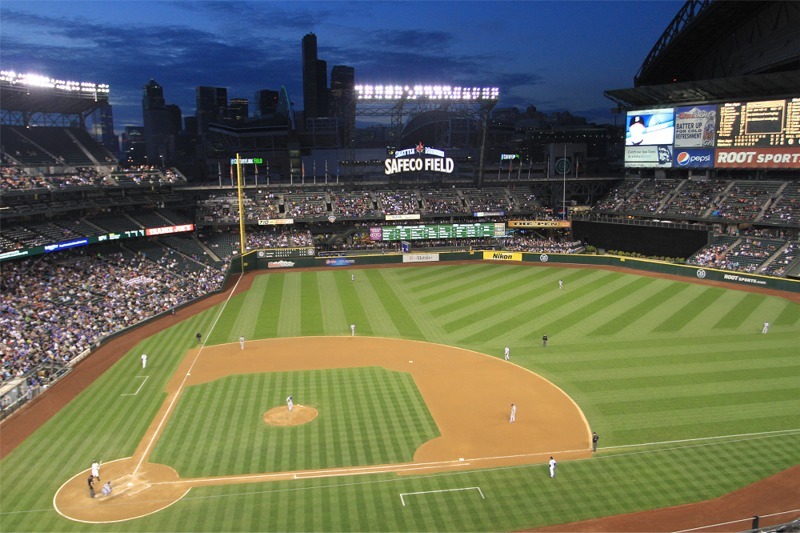 T-Mobile Park offers a number of exciting areas for fans. The Bullpen Market located behind left field features interactive games and activities for fans, including the Fan Walk personalized bricks, local food vendors, an open pit barbecue, and one of the best views of the game from behind the centerfield fence. Lookout Landing at the end of the left field line on the upper deck provides incredible views both inside and outside the ballpark. 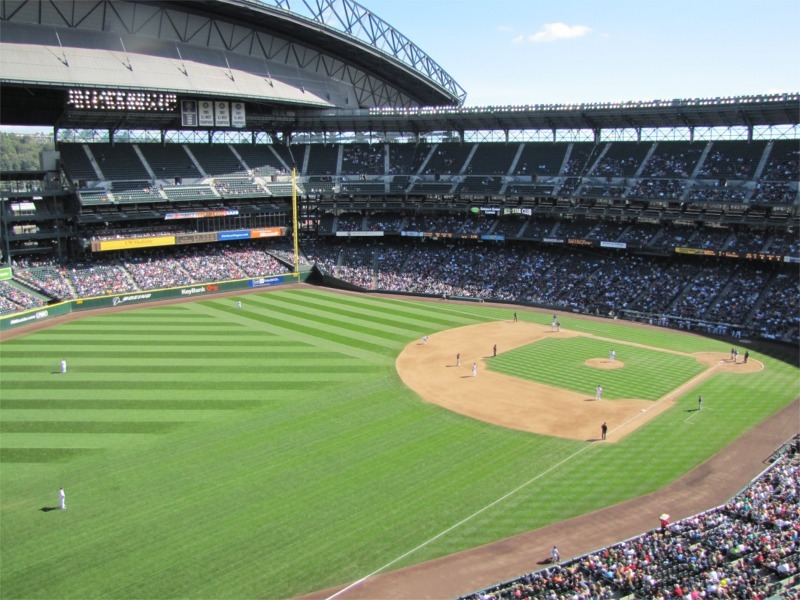 The Outside Corner Picnic Patio, directly above the Home Plate Gate entrance, is a gathering location that provides fans with breathtaking views over Puget Sound, as well as tables and benches for picnic lunches. Children’s Hospital Playfield, located on the main concourse in center field, lets kids work off excess energy on fun, baseball-theme playground equipment. 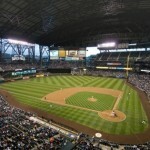 After the 2012 season, the Mariners spent $15 million in upgrades and additions to T-Mobile Park. 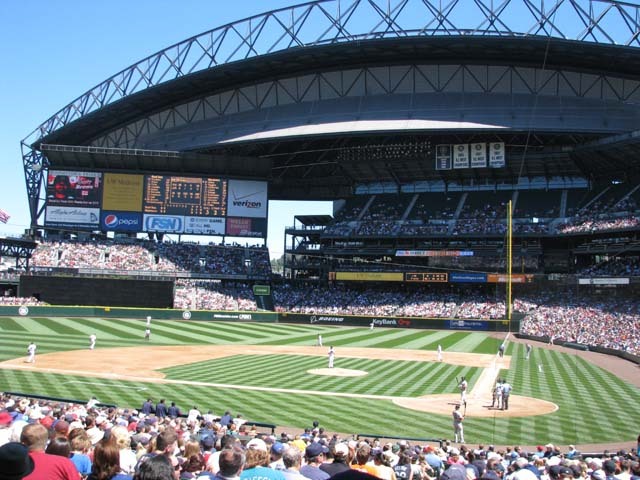 Renovations included replacing the existing video/scoreboard with the largest HD videoboard in baseball: 57 feet high by 201.5 feet wide. 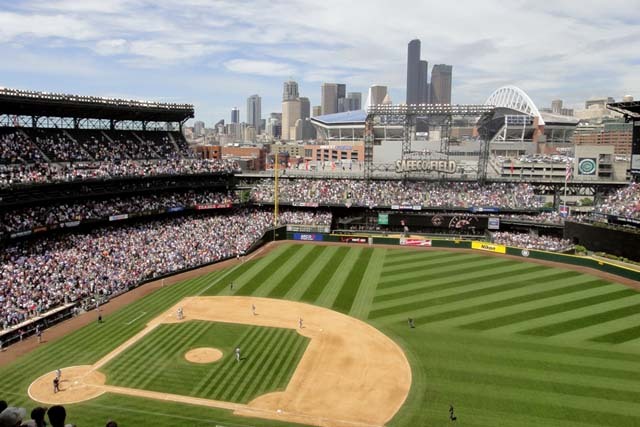 A new restaurant named after former M’s DH Edgar Martinez, “Edgar’s,” was built in the ballpark’s left field corned edge. 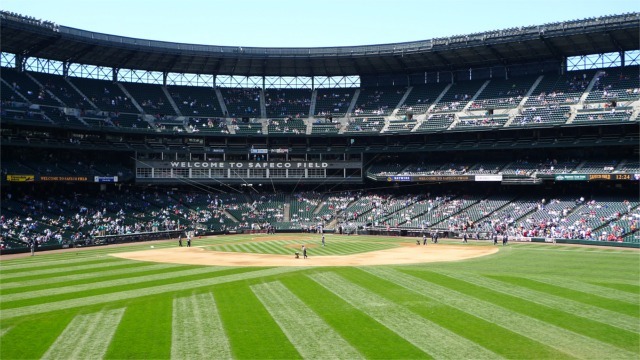 In an effort to make the ballpark more hitter friendly, the Mariners moved the outfield fences closer to homeplate before the 2013 season. 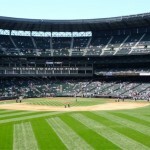 Left-center field was decreased from 390 feet to 378 feet, centerfield from 405 feet to 401 feet and right-center field from 385 feet to 381 feet. The left field wall that was 16 feet high has been shortened to 8 feet high pushing the manual scoreboard above the left field fence and out of play. 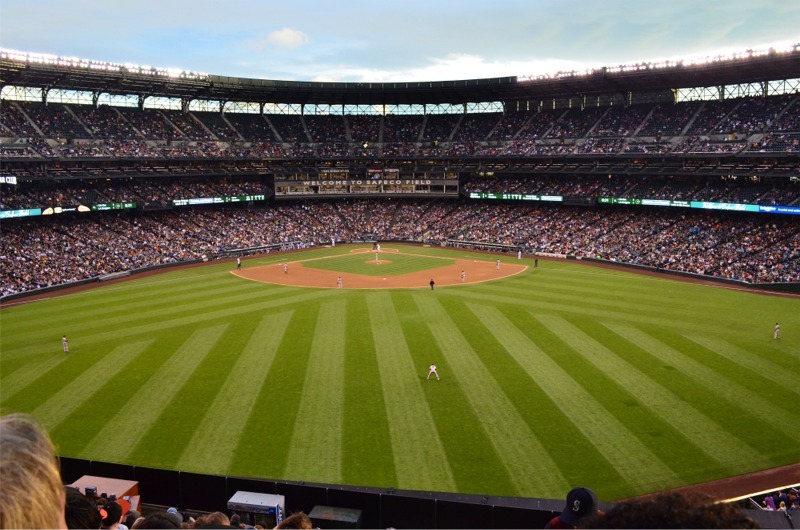 The Mariners hope that the shorter fences will lead to more offensive production as the team has been one of the worst offensive teams in baseball lately.